Do te think Asuna will clear Level 100, and survive in the real world? la scelta dei fan: Of course she will! Which outfit, on Asuna, do te prefer? If te had the chance to marry Asuna, would te marry her? Do te think Asuna is a great cook? la scelta dei fan: She's amazing! Would te like più fan service in SAO o less? a comment was made to the poll: Do te think Asuna will clear Level 100, and survive in the real world? 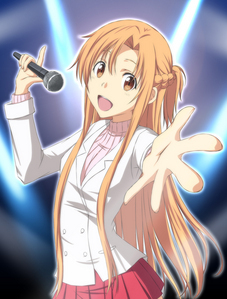 a comment was made to the poll: If te had the chance to marry Asuna, would te marry her?